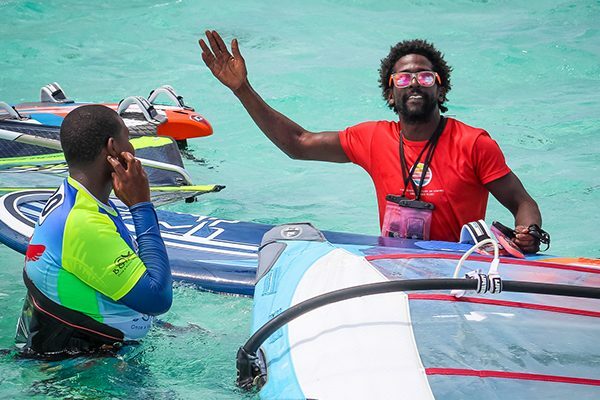 Sorobon beach lagoon is warm, shallow and surrounded by constant winds, which makes it the most perfect location for learning windsurfing safely! 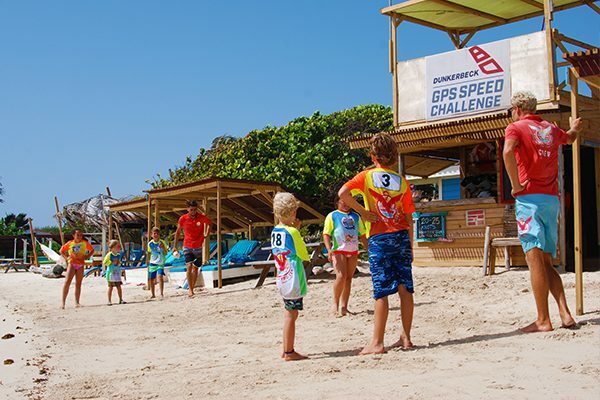 Leave your children in our hands, providing them with the best conditions to learn windsurfing! 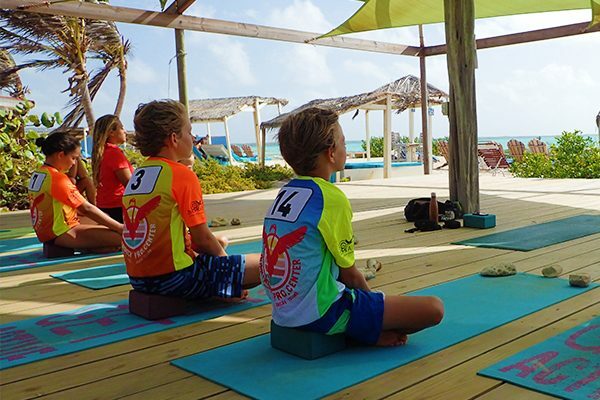 Our 4-day children clinics are designed to introduce your children to all the necessary windsurfing basics as well as have as much fun together as possible! The camps welcome 6-13 year olds of any windsurfing experience level (complete beginners are our favorite!). Our instructors are ready to accommodate to your child’s needs and give them experienced knowledge, allowing them to progress with ease! They take place in the mornings, and include beverages for your children during the training and end with lunch every day. At the end of the 4-day camp, you and your family are invited to attend a cozy ceremony where your child receives a diploma and report card with their progress! How fun is it to windsurf! The price includes a Dunkerbeck Pro Center lycra and four days of activities! Award ceremony with snacks and diplomas after the competition! Note: If your child cannot participate the full four days, he is still welcome to join when possible!